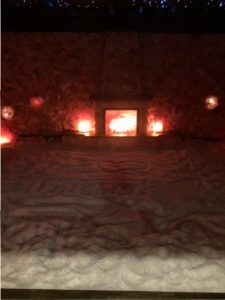 Salt Therapy is a commonly used natural remedy that goes back centuries with monks taking the sick down into salt caves to allow them to breathe air saturated with salt particles. In 1843, Dr. Felix Boczkowksi, observed a low incidence of respiratory conditions in salt miners. In modern times, salt therapy has become widely popular in many countries all over the world because of the proven benefits. The inhaled particles of salt result in reduced inflammation for the entire respiratory tract, a widening of the airway passages, increased elimination of mucus and allergens plus an overall improved immune system. Did we mention it is great for your skin too? The micro-particles of salt influence the skin’s protective layer providing healing and cosmetic effects including normalized ph and regenerative processes in the skin. 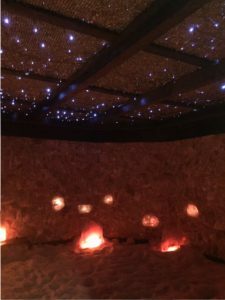 Using the newest eco-friendly and state of the art climate control technology to reproduce the atmosphere of a salt cave with a monitored therapeutic micro-climate. The air in the cave is ionized and infused with a low concentration dry salt. 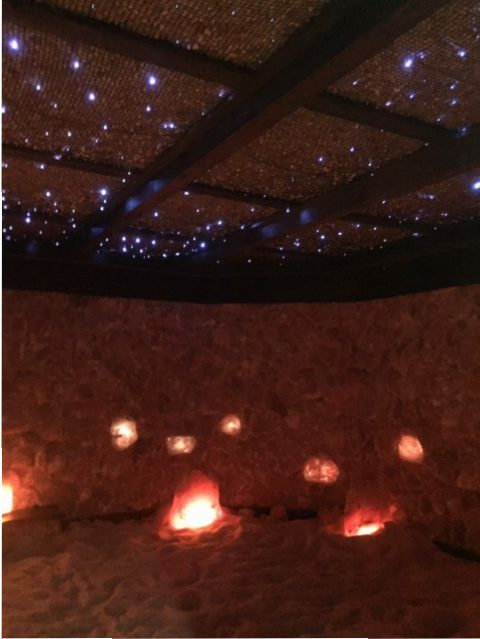 Our cave is proudly build by hand with pure Himalayan salt boulders, rocks, bricks and sand. Please bring a pair of clean white socks or we can provide a pair. You may enter the cave in your own attire or you may wear our spa robe if already here for other spa services. A robe is not provided unless you are receiving a spa service. During your 45 minute session, you can relax in one our of our zero-gravity chairs, lay back and take a nap or sit and enjoy the soft music and stress-free environment. Please keep in mind our salt cave is a cell phone free environment in order to provide the most relaxing atmosphere for all of our guests.